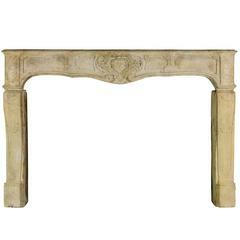 Fine French original antique fireplace surround in limestone from the early Regency period. The jambs have Louis XIV period details. 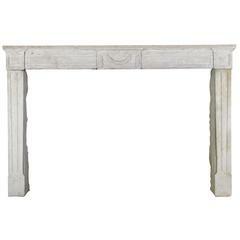 Perfect to create a European country room. Measures: 166 cm EW 65.35" 135 cm EW+ 53.15" 115 cm EH 45.27" 136 cm IW 53.54" 90 cm IH 35.43" 27 cm S 10.62" 57 cm S+ 22.44". Ready to be installed and complete original.